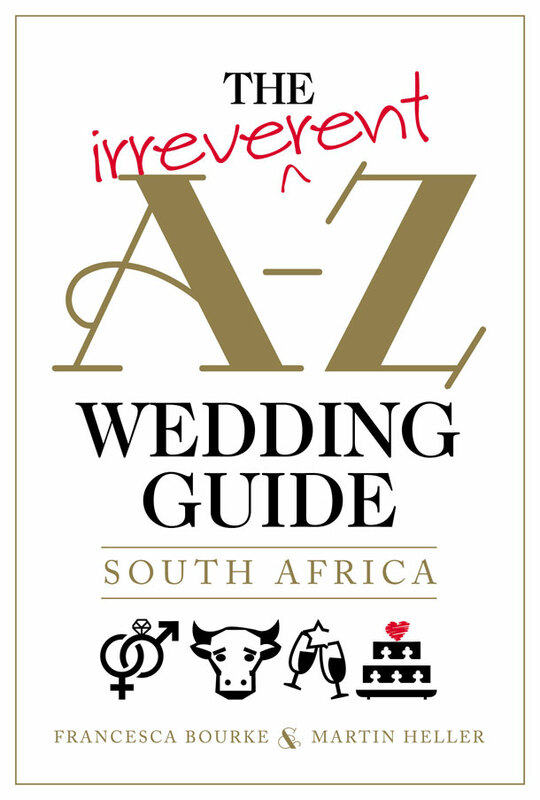 If you’re a bride with a sense of humour you need to get yourself a copy of The Irreverent A-Z Wedding Guide: South Africa written by Francesca Bourke and Martin Heller. Who is this book for? It’s for those brides who don’t already know every detail of their wedding before the age of 13. Weddings have become a performance and this guide is here to help the bride, groom, their family and friends through the day with a minimal amount of stress. If you’re finding yourself in the deep end without a clue on where to start looking for someone to bake your wedding cake or where you’ll find the perfect wedding dress this guide will help you out with useful information, a reliable list of service providers and help put you at ease.